Getting your home or office designed or renovated can be such a frustrating or confusing exercise. There are designs to pick, materials to source, colours to match and furniture to be made. Now if only someone in Kolkata could take over this task and relieve you of these responsibilities, right? Well, at UrbanClap, we understand the enormity of interior designing and provide you with the best interior designers in Kolkata, after carefully vetting each one of them for credibility, quality and reliability. All you have to do is browse through the UrbanClap app or website and book one of our top interior designers in Kolkata. They'll ensure quality results in a budget that suits you. In a consultation, your interior designer will discuss the interior designing of your space with you and eventually even give you a design in 2D or 3D format. This service can cost you anywhere between Rs. 40 and Rs. 160 per sq. ft. If you choose to, however, go for execution, the designer and his team will take care of the complete design of your space and its implementation. This can cost you anywhere between Rs. 700 and Rs. 2300 per sq. ft., depending upon the scope of the work and the quality of the materials used. Interior designers in Kolkata work on designing a space afresh or remodelling it. In Kolkata, they focus more on ventilation and space planning. 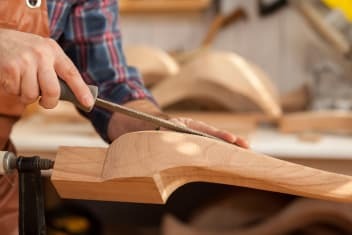 Along with these, they work on furniture design or selection, false ceilings, selection of wall paints and textures, sourcing accessories and lighting, redoing flooring, etc. No, UrbanClap does not charge any service fee from the customer for booking the service. However, the interior decorator or agency may charge a consulting fee depending on the advice they give you. We suggest you clarify the same with them. Professional skills & expertise Your home should be warm and inviting, and let’s face it, all of us are not good with interior decoration. 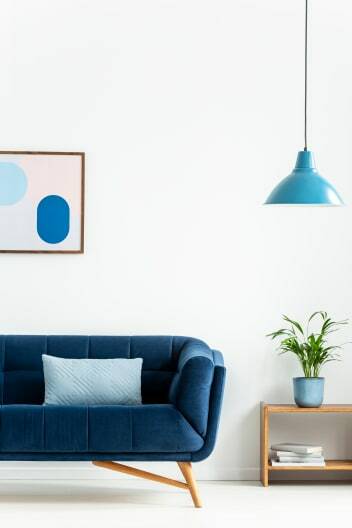 Selecting and finalising wall paint colours, decorations, wall art, furniture and other tiny details that give a room a lovely look can put a lot of people in a dilemma. The best interior designers in Kolkata can, however, help you out with this as they are trained and skilled in the same. Planned designing Even if you take up the task of designing your house, you may end up doing something wrong -- such as placing a cupboard next to a window where you could have instead built an entire study area. This comes easy to the top interior designers in Kolkata, who come with years of experience. Good interior designers in Kolkata discuss and assess all your needs and desires, and then come up with a design plan for the room. Ready network of professionals While working on the interiors of your house, you will need to get in touch with house painters, carpenters, flooring masons and many other professionals. 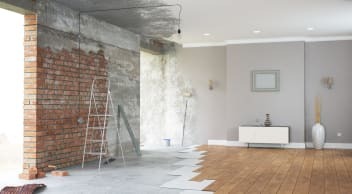 As someone who is working on a house project for the first time, a significant amount of your time would go in finding the right professionals and finalising a price for their services. On the other hand, the best interior designers in Kolkata already have a set of professionals they work with. The rates are also set an optimum amount since they work with each other on a regular basis. Time and cost effectiveness Amidst your busy routines, accommodating the interior designing of your space is an additional burden. To save time, you may even hurry up on the process of finding the right professionals and, thus, compromise on the quality. This may actually result in extra costs in the long run. Interior designers in Kolkata, however, can help you save both time and money by handling all tasks in the budget you give them and within the deadline agreed by both. One-of-a-kind look Interior designers in Kolkata are up-to-date with the latest trends and styles in the market. In addition, their years of experience help them combine these trends with your needs and requirements, to give you something entirely different. This ensures that you get a look worth every rupee spent. Design consultation If you only require expert advice or just want to have an idea about the interior design of your house for future reference, you can opt for a consultation session with your interior designer. Depending on the situation and query, he or she may or may not charge a fee for the service. Blueprints If you are not ready to execute the interior design of your house yet, you could always just get a blueprint or a computer-aided design (CAD) created by an interior designer. This will give you time to decide whether you like the idea or not, or whether want to check out other designers as well. Personalised packages Interior designers customise packages according to your needs. The package may entail just colour consultation, or it could include furniture sourcing and arrangement. It may be a package for your kitchen renovation or it may be an entire new home design. Just remember that costs vary according to the size of the house too. So, designers would charge differently for a 2BHK interior design and that of a 3BHK interior design. Procuring and arranging of accessories In some cases, the client is just too busy to shop. Since the best interior designers in Kolkata know their way around the markets and are in touch with all the right people from the industry, they could take over this job from you, thus saving you a lot of time. Turnkey projects If you want your space renovated or redesigned from end to end, this is the service for you. From creating a design, to procuring the materials, executing civil work, furnishing the space, managing labour and other professionals and finally handing over a completely renovated space in a timely fashion, turnkey projects entail all this. Experienced & professional interior designers UrbanClap hires interior designers in Kolkata only after a stringent screening process. Every designer’s certification is verified before onboarding them. Reliable professionals At UrbanClap, we have verified every provider’s national identity, address and criminal background by the top verification firms in India. This forms part of our stringent quality screening process. Varied range of services Our interior designers not only cater to residential projects like apartments, villas or small houses, but also for offices, hospitals, retail outlets and hotels. Moreover, along with interior designing projects for new homes, our interior designers in Kolkata also take up remodelling projects. Range of budget packages At UrbanClap, you will definitely find an interior designer who can offer his or her services to suit your particular budget. Additionally, different tasks cost different amounts, and you can choose between them to find one that suits your needs. For instance, the charges are different for just consultation, design and implementation, remodelling of select spaces, remodelling of the whole house, commercial designing, etc. Flexible working style UrbanClap provides you the flexibility to inform your interior designer in case you don't want the project to be executed all at once. For instance, you may want to take a month’s break between the designing of each room’s designing. Our interior designers will prepare an execution plan accordingly. *Costs are variable as per the needs and the requirements of the customer. 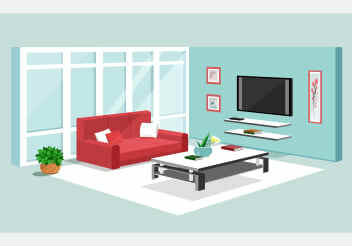 How Do I Find a Quality Interior Designer in Kolkata? What works for one person may not work for another. Nonetheless, the following pointers should help you shortlist and finalise the right interior designer for your home or office. Good communication and interpretation skills A good interior designer in Kolkata must be able to understand what you want of your space and create designs accordingly. These designs should be in accordance with both you and your designer. Additionally, he or she should also be able to communicate the finalised plan to their workers, and make them understand it just as well since they will be the ones actually performing the tasks. Out-of-the-box thinking and execution The best interior designers in Kolkata should be able to come up with creative, fresh and doable ideas that are also cost-effective. This requires a lot of brainstorming. A good interior designer must remember to offer a creative edge to even the simplest of designs since the client has invested in them. Good management skills Interior designers usually handle more than one project at a time. This makes it all the more important that they communicate, delegate and manage their team in an organised manner, leaving no scope for irreversible mistakes. They must be able to give your project ample attention and should not give rise to any confusion. Relevant experience You must look into your interior designer’s past work, educational qualifications and training acquired. The best interior designers in Kolkata should have testimonials and photographs to present of their work, and you should talk to them about these in detail. Ability to improvise Not every interior designer in Kolkata might have this quality, but it is definitely a valued characteristic. If an interior designer is able to improvise well, it means that he or she has the ability to modify or make changes to the original plans just in case things don’t go as planned or are not liked much by the clients. This sets them apart from other interior designers. Eye for technicalities Interior designing is not just about colours, aesthetics and decor, but also about functionality. A good interior designer should be able to incorporate factors like storage, safety and convenience along with comfort, to make sure that the space is not just beautiful but also livable and functional.